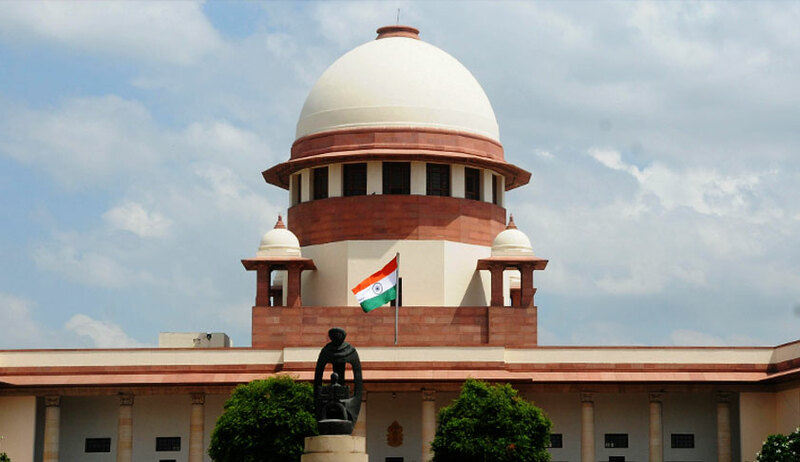 The Supreme Court on Thursday upheld the condition for lawyers to compulsorily be members of the Supreme Court Bar Association (SCBA) for applying for allotment of Lawyers’ Chambers. The Bench comprising Justice AK Sikri and Justice Ashok Bhushan, however, changed the block period for which the requirement of filing and/or appearance has to be fulfilled to October 01, 2013 to September 30, 2018, instead of June 01, 2011 to June 30, 2016. It further refused to accept the suggestion that allotment of chambers should be a continuous process, but opined that notice inviting such applications should be issued at least once in three years. In the year 1995, a recommendation was made by the Allotment Committee for allotment of chambers to Advocates-on-Record, non-advocates on record (other advocates) and senior advocates in the ratio of 7:2:1. This recommendation was accepted by the CJI on August 29, 1995. Since then, allotment is made in the aforesaid ratio to these three categories of advocates. The allotment to these chambers is made based on their availability. It was conducted last time in the year 2004. Thereafter, after a gap of thirteen years, the Supreme Court invited applications for allotment of Lawyers’ chambers on October 31, 2017 and May 16, 2018, stipulating various eligibility criteria. For instance, one such condition for an AoR was filing of twenty cases per annum in the course of any two consecutive years between June 01, 2011 to June 30, 2016 and for other advocates, 50 appearances each year for any two consecutive years between June 01, 2011 to June 30, 2016. Further, as far as seniority is concerned, in respect of AoR, it was to be from the date of registration as AoR. For other advocates, seniority is to be based on the date of their admission to the active membership of SCBA. For senior advocates, allotment is to be made on priority on the date of them being designated as senior advocates. The petitioners were aggrieved by such eligibility conditions, particularly with respect to the fixation of block period between June 01, 2011 to June 30, 2016 for which the requirement of filing and/or appearance has to be fulfilled. They had further suggested that the calendar year, which is currently taken to be from June to June, be taken from January to December. The condition which specified that allotment can only be made to those advocates who are members of SCBA was challenged inter alia by contending that apart from SCBA, there is an association of AOR as well, known as SCAORA and it should be sufficient when a person is a member of SCAORA. Another incidental issue which arose was whether the Supreme Court should invite applications for allotment of chambers on a regular basis. A note submitted by the Additional Solicitor General had suggested that the period of 730 days for fulfilment of the eligibility criteria should be counted from the last cut-off date in 2004 till September 30, 2018. The court, however, refused to accept this suggestion, asserting that it was “way too off the mark and may have no connection with the active practice requirement of an advocate, having proximity with the date when the applications for allotment are invited”. It explained, “…if the cut-off date starts from the year 2004, this purpose may be lost in many cases, resulting in allotting the chambers to those who may be non-active as of today. There may be cases where a non-AOR or AOR may fulfil conditions of appearances/filing in first 730 days starting from the year 2004 i.e. during the year 2004-2005 and thereafter he may not have any appearances or filings, or such appearances/filings may be negligible. Still he/she would become entitled to allotment of chamber. The court then opined that the block period should be from October 01, 2013 to September 30, 2018, instead of June 01, 2011 to June 30, 2016. Petitioners had claimed that this eligibility criteria is discriminatory and violates the fundamental rights guaranteed to them under Articles 14, 19(1)(c) and 19(1)(g) of the Constitution of India. One of the petitions had also challenged the condition that to become eligible for allotment of a chamber, an advocate should be a resident of Delhi or New Delhi. The court opined that the Judges' Allotment Committee needs to reconsider the necessity of retaining this condition or extending it to some areas of neighbouring states. This was in view of the fact that several advocates who appear in courts in Delhi, including the Supreme Court, commute on a daily basis from their residences which fall in neighbouring States.